Lake Placid: restaurants in Lake Placid and the surrounding area. With an area encompassing 32 miles of lakes and brilliant mountain top peaks, it is no wonder why people are drawn to Lake Placid and the Saranac Lake area all year long. After a busy day of hiking, boating or skiing, treat yourself to a delicious meal at one of the Lake Placid restaurants. Charming coffeehouse gourmet, casual dining at a local brewery or elegant sophistication are all styles of dining in Lake Placid. Which is your favorite? While here, also visit Saranac Lake NY -- home to some of the best downhill skiing resorts, snowmobiling and hiking trails, and dining options in the Adirondacks. The Lake itself and areas surrounding the waterway are just bursting at the seams with culture, wildlife and natural beauty. With the surrounding cities such as Lake George, Saratoga and Glens Falls, there are plenty of restaurant possibilities for every palate to enjoy! 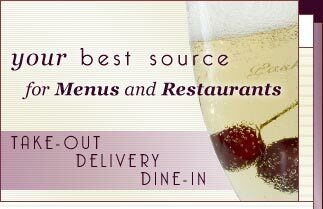 Let MenuMart.com point you in the right direction. We promise to find your fit!